Cave Creek, Mesa, Chandler, Gilbert, Tempe, Avondale, Sun City, Sun City West, and Glendale. 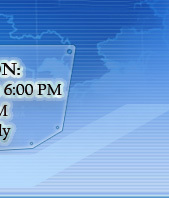 We provide in-home, same day appliance repair on most major brands of appliances in the Metro Phoenix area. 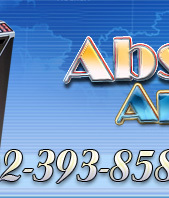 If you have a major appliance in need of repair then you need to call Absolut Appliance Repair. We accept Cash, Checks, Visa, Master Card, Discover card and American Express. Our licensed technician have years of experience, We will respond to your call and have your appliance working again in no time. 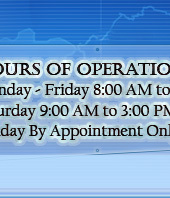 Most of our service calls receive same day service! 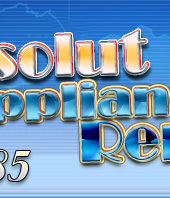 Same Day Service With Absolut Appliance Repair. Absolut Appliance Repair works on all brands and models of washers such as Kenmore, Whirlpool, Maytag, GE, Kitchen Aid and many more. If your washer doesn’t spin, leaks or if you have any other issues with it simply call our number and we will eliminate the problem. Absolut Appliance Repair fixes most brands and models of dryers such as Kenmore, Whirlpool, Maytag, GE, Hotpoint, Frigidaire and many more. If you have any issue with your dryer, such as not drying clothes, doesn’t turn on, or making noises – give Absolut Appliance Repair a call. Absolut Appliance Repair has licensed technicians who can repair most brands of refrigerator including: Kenmore, Whirlpool, Maytag, GE, Hotpoint, Jenn Air, Sub Zero and more. Kenmore, Whirlpool, Maytag, Hotpoint, Dacor are just a few of the brands of stoves worked on every day by the pros at Absolut Appliance Repair. If your stove burners don’t get hot or you can see sparks then give Absolut Appliance Repair a call and we’ll be right out. Absolut Appliance Repair Works on most major brand ovens, including Kenmore, Whirlpool, Maytag, GE Hotpoint, Kitchen Aid, Dacor, Thermador and many more. If your oven doesn’t get hot, isn’t not baking properly or you can smell gas give Absolut Appliance Repair a call. If you are in need of appliance repair this is the company of your choice! We stand by our commitment to your complete satisfaction, so you don’t have to spend more time or money to keep getting your refrigerator, washer or dryer repaired again and again. 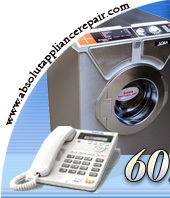 A call to Absolut Appliance Repair will be the only call you will need in getting your appliance fixed. 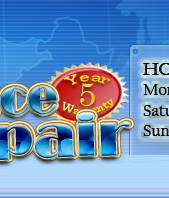 Our services include same day appliance repair, a free service call with the repair, and available emergency service. Copyright © 2015, Absolut Appliance Repair. All Rights Reserved.